Not gonna lie, if someone walked up to me and said the words, Auld Lang Syne, they would most likely get my confused look. The same look I give mid-way through the song. Ok, two bars in. 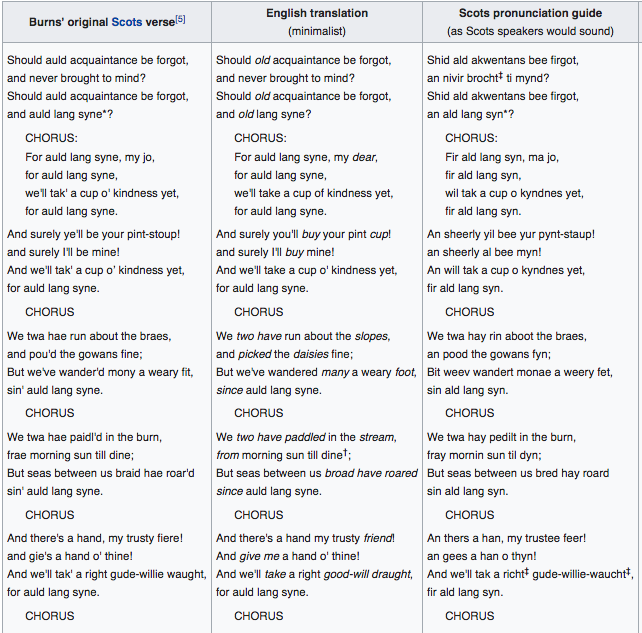 If you're still rocking your confused face over the words, Auld Lang Syne, allow me to fill you in; it's the song you try to sing at the stroke of midnight on New Year's Eve. 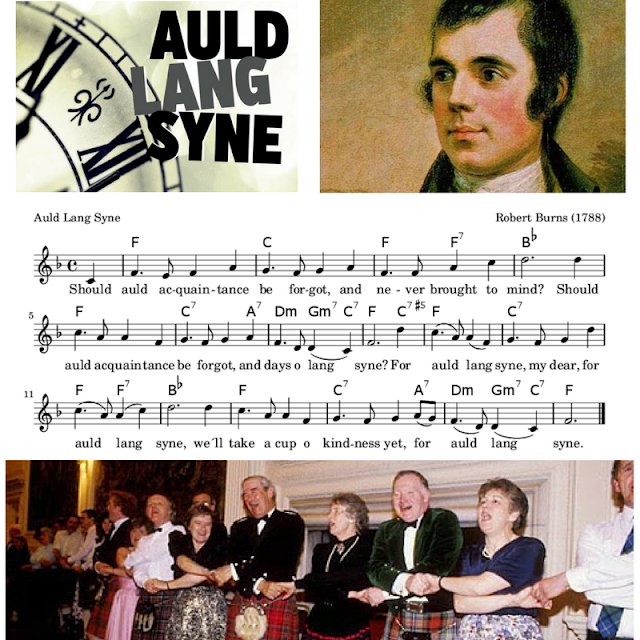 While the song's origin dates back to early seventeen hundreds Scotland, it wasn't until 1788 when the Scot poet and lyricist, Robert Burns, put his spin on the 'old song' and birthed the Auld Lang Syne we sing today. 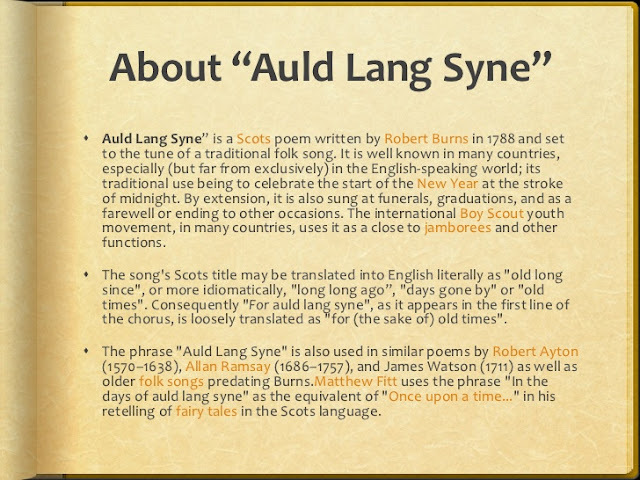 'For Auld Lang Syne', loosely translates to, 'For The Sake of Old Times'. we'll take a cup of kindness yet,for auld lang syne. since auld lang syne.And there's a hand my trusty friend! WAIT! There's a traditional Dance! When the tune ends, everyone rushes to the middle, while still holding hands. When the circle is re-established, everyone turns under the arms to end up facing outwards with hands still joined. NOTE: In countries other than Scotland the hands are often crossed from the beginning of the song at variance with Scottish custom. How will you sing it this year? Bookmark this page or pin the image below as a refrence.